Here's where to watch every episode of Rawhide season 1. Mouseover or tap an episode to see where to stream it. Click or tap the play icon to stream it on the best available service. 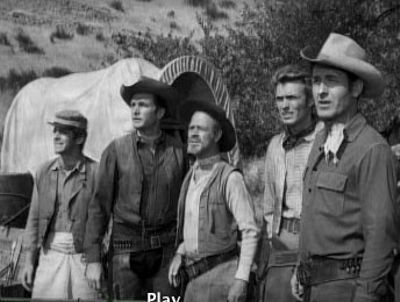 Incident of the Tumbleweed Jan 9, 1959 After a marshal and deputy are wounded and killed, Gil and Rowdy volunteer to finish the delivery of the prison wagon with seven dangerous prisoners to Ft Craig for trial, while the outlaw husband of one prisoner is in pursuit to free her. Incident at Alabaster Plain Jan 16, 1959 Rowdy's wartime friend, they spent time in a POW camp, is getting married. The bride's stepbrother, a murderer sixteen times over, has returned to claim his share of the family fortune. Incident with an Executioner Jan 23, 1959 A stage load of passengers being chased by the man with the black satchel wrecks. Favor takes them to his camp. The man is a hired executioner after someone from the stage or the herd. Incident of the Widowed Dove Jan 30, 1959 Rowdy tries to help Clovis leave her sheriff husband. Incident On the Edge of Madness Feb 6, 1959 The drive trapped by high water is approached by a Colonel and lady looking for men to join his Confederacy of Panama. Fearing his men will leave, Favor tries to cross, losing a man. The men leave not realizing what the Colonel's plans are. Incident of the Power and the Plow Feb 13, 1959 Gil Favor gets permission from rancher Jed Reston to drive his herd over Reston's land. He discovers, however, that Reston has a bigoted attitude toward Indians, particularly a local Comanche named Taslatch who wants to be a farmer and who's paid for a mail-order plow. (Reston's recently had his son, Matt, give Taslatch 15 lashes on a trumped-up rustling charge.) Favor earns Reston's enmity by siding with Taslatch. Tensions soon escalate until violence is set to erupt between the Comanches and local townspeople and Favor must take decisive steps to intervene. Incident at Barker Springs Feb 20, 1959 Brazo, a retired gunfighter, attempts to keep his kid brother from taking up the family business. Incident West of Lano Feb 27, 1959 Four stranded women provide a love interest and a complication for Favor. A freight hauler with a gunfighter says he's using the only river crossing first. Incident of the Town in Terror Mar 4, 1959 When Rowdy and two steers are thought to have anthrax, The only medical help is a young lady with two years of nursing school. Her town doesn't want anything to do with the drovers or the herd. Incident of the Golden Calf Mar 13, 1959 Brother Bent the newest drover sparks gold fever, when he flashes a huge nuggett. Incident of the Coyote Weed Mar 20, 1959 Banditos inside and outside threaten the herd and the drovers. Incident of the Cubasco Apr 3, 1959 The drive faces a formidable tasks climbing to a plateau known for it's high winds and dust storms. Favor hires Tom Bryan more for his wagon than the man. Tom sneaks a woman dressed in a bridal gown into the wagon. Jefferson Devereaux, a wealthy land owner, comes looking for a man and a woman, his wife, Jenny. Rowdy was a POW with Tom. He says Tom sold out. Jeff and forty men will be back in the morning for Tom and Jenny. Incident of the Curious Street Apr 10, 1959 Favor and Rowdy are looking for strays. They enter a deserted mining town. Matt Lucas is the caretaker. He says he's the only one there. Leaving they hear an organ. Mrs. Miller and her daughter, Angie, say Lucas and his son, Waldo, gunned down the stage coach driver, and is holding them hostage. Incident of the Dog Days Apr 17, 1959 Favor stops Talby from shooting Johnny Camber, who he says is Billy Carter, who killed his daughter. Clark accuses Carl Myers of being a trail camp thief and a card cheat. Favor decides to take the herd across the dry plain at the worst time of the year. The men begin to question Favor's judgment. Eventually all but six of his men quit. Incident of the Calico Gun Apr 24, 1959 Favor and Pete find Jenny Watson outside a burned cabin. Her parents who died of a sickness were burned with the cabin. Favor invites Jenny to ride along to Silver Junction. Jenny is in cahoots with three brothers to rob Favor of the drive's payroll. Incident of the Misplaced Indians May 1, 1959 Rowdy finds two indians dead outside a house. Amelia Spaulding is inside singing and making candy. Incident of Fear in the Streets May 8, 1959 Pete is injured, so Favor and Rowdy into a nearby town for a doctor. Because the town lynched a man the day before, the residents along with Favor and Rowdy are held hostage until the Sheriff and the man who led the lynching are also hung. Incident Below the Brazos May 15, 1959 Favor's welcome to Paradise Valley is a group of gun toting farmers warning the herd better not do any damage to their property. Lightning stampedes the remuda and kills farmer Ken Wade. His wife urges Eli to avenge her husband's death. Incident of the Dry Drive May 22, 1959 Jess Hode, a bitter ex-trailboss who the owners thought was too old, demands half of Favor's herd for the only water around. Jess' son stands by him but soon comes to see through his old man. Favor tries a couple other water holes but they are dry. 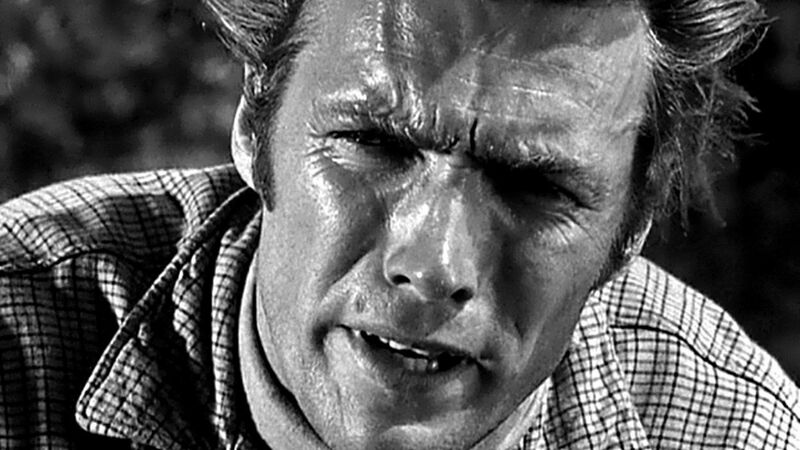 Incident of the Judas Trap Jun 5, 1959 With wolves threatening the herd, Pete is sent to town to get a wolver and traps. None are available, but he meets his old flame, Nora Sage. She is later found strangled in her room. Brad Morgan, Medrina Wilcox's foreman also came to see her. Medrina has a herd but only one man. They pool herds. Brad was a wolver, and directs Favor's men in placing the traps. Brad toys with the affections of Nora, Medrina and her sister Paula. Favor lets the sheriff take Pete, but says he needs Morgan. Incident in No Man's Land Jun 12, 1959 Favor and Rowdy ride into a settlement of women to find out the source of explosions threatening to stampede the herd. They're told to go to the camp. It uses contract prison labor. The women are the wives and girlfriends of the convicts. Todd McCauley has one month to go, but Clement won't release him saying he knows where the money he stole is. Todd arranges a breakout. The convicts need horses and head for the drive. Incident of a Burst of Evil Jun 26, 1959 A badly beaten wild man, Bing, says that Comancheros are planning to take the herd. Rowdy befriends a woman, once a countess, now being held by the Comancheros. She offers a mirror for the kindness Rowdy has shown. Rowdy says he couldn't accept it. She sneaks it into his saddlebag. At a trading post the mirror is identified as one taken in a Comanche raid. Rowdy is thought to be a Comanchero and has to fight his way out. 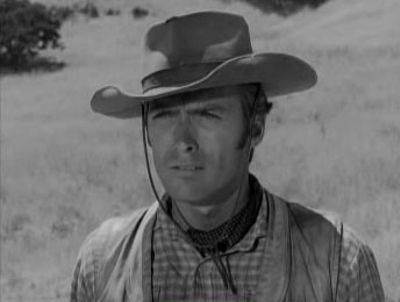 Rowdy goes to the Comanchero camp to get Louisa to back up his story and is caught. Loouisa tells Rowdy of the Comancheros plans. 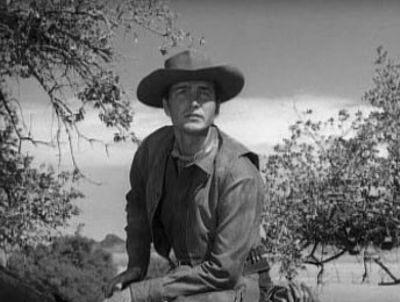 Bing was sent by the Comancheros to lead the drive to them.